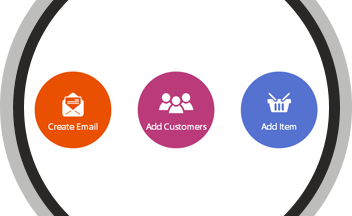 Get set-up and selling in minutes with integrated eMail and eCommerce. Verify payment methods, enter inventory and set up your eCommerce store in minutes. Build your subscriber list or use our uploader to import. Our email templates build off your store, saving you time. Track sales, open rates, clicks, opt outs and more and to discover what works best for your audience. 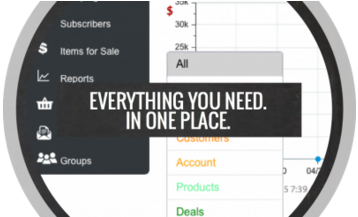 Manage your inventory, email campaigns and analytics from one easy to use dashboard. Send emails allowing your customers to take direct action. 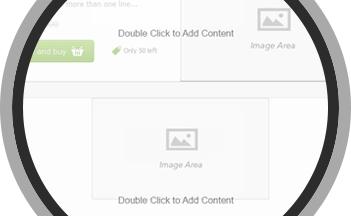 Fewer clicks to make a purchase means more sales. Secure checkout for credit cards. Integration with Paypal, Ignite and Braintree payments.